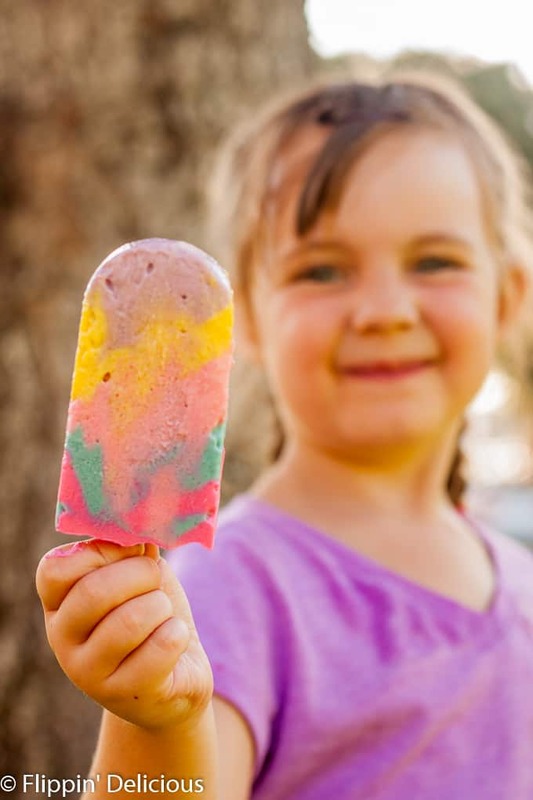 Vegan Unicorn Pudding Pops are a magical way to stay cool on a hot night. OMG I am so excited about this recipe! I have been dying to hop on the hot unicorn foodie trend all year. I’ve been juggling my Flippin’ Delicious and my full-time job and haven’t been spending as much time in the kitchen as I did last year. 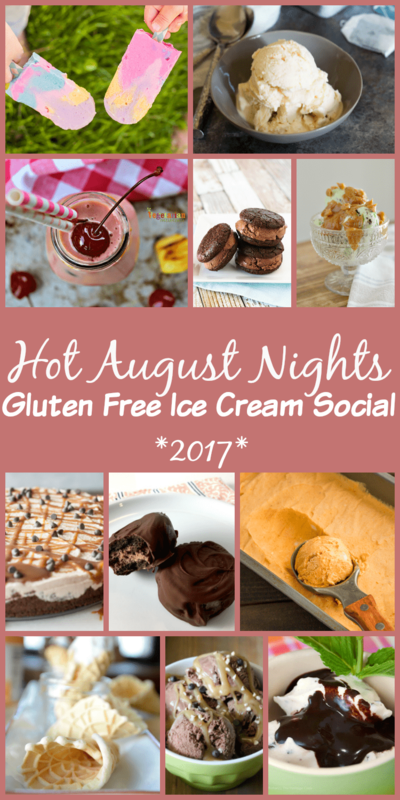 Some of my best blogging friends and I wanted to do a Gluten-Free Ice Cream Social and Giveaway (we are giving away a $300 Amazon Gift Card…. I wish I could enter! The form is after the recipe at the bottom of this post). 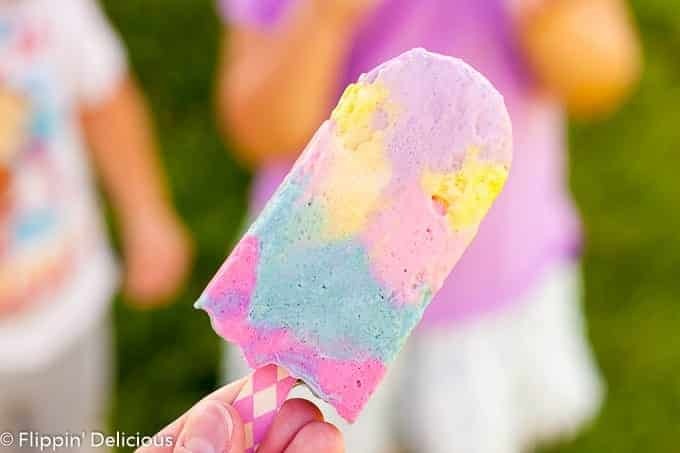 When I was brainstorming my ice cream social contribution I knew I had to make these Vegan Unicorn Pudding Popsicles, I’ve been wanting to make them all summer! If you are anti-food-coloring this recipe is not for you. Unicorn everything is a trend I am definitely on board with. I love bright colors, and sprinkles. This time last year I had pink hair. I feel like unicorns are my spirit animal. 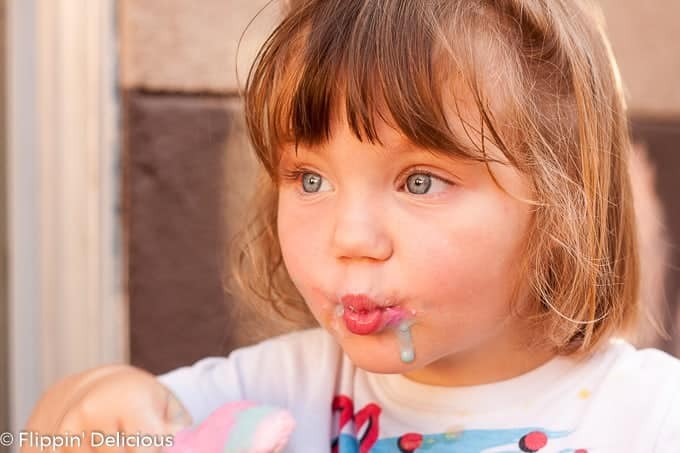 My kids also love all the unicorn-inspired treats and desserts. We are big My Little Pony Fans, and Unicorn Drinks, Cakes and Cookies are almost the same as MLP inspired treats…at least in our minds. My girls and I definitely enjoyed these sweet mythical-creature-inspired pudding pops. 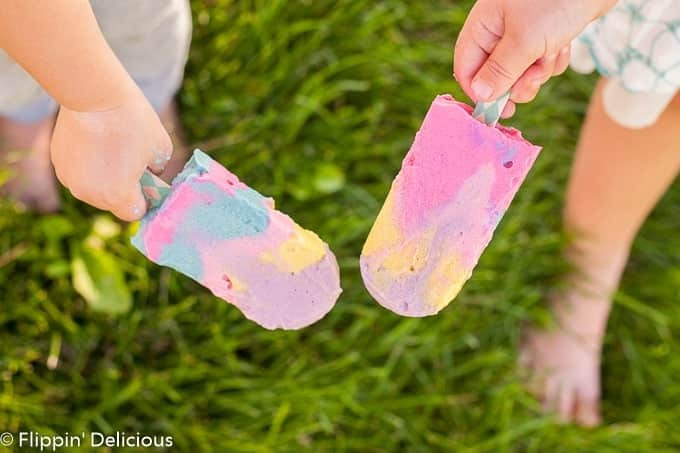 Making Dairy-Free Unicorn pudding pops is a cinch. 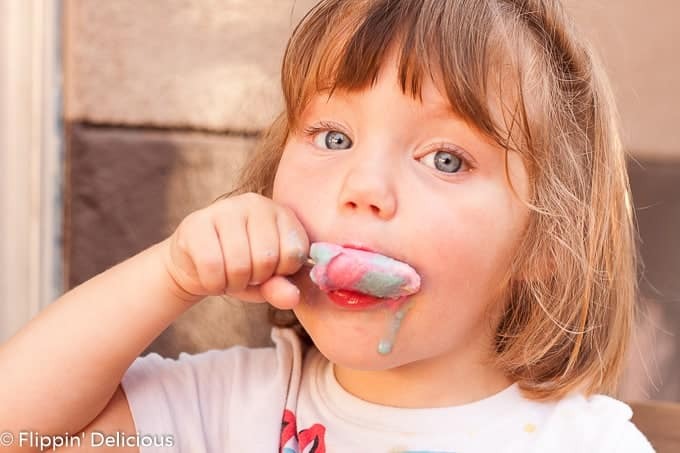 All you need is some sort of popsicle mold and sticks, your favorite vegan pudding recipe or mix and some food coloring. I used Vivian’s Live Again Vegan Vanilla Pudding. I’ve worked with Vivian’s Live Again in the past, however, this recipe unsponsored. 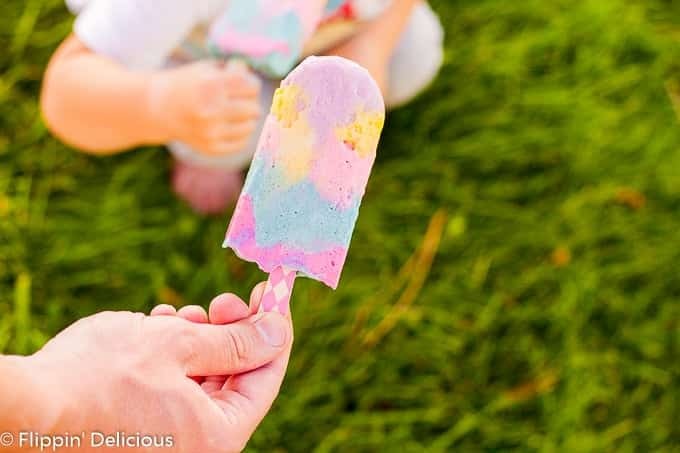 I LOVE Vivian’s Live Again pudding mix because it is easy to whip up for a creamy allergy-friendly treat and it is perfect in these Unicorn Pudding Ice Pops. Divide the pudding evenly between 5 plastic zipper bags. Squeeze a small amount of food coloring into each bag and mix it with a spoon until evenly colored. Snip a small corner off of each bag and layer the pudding into your popsicle molds. Gently swirl the colored pudding with a knife. To unmold your unicorn pudding pops, briefly dip the mold in luke=warm water. You can use any prepared or home-made pudding, dairy-full or dairy-free. I have successfully made Jello Brand pudding mix using dairy-free milk. I use 1½ cups of dairy-free milk instead of the 2 cups that are requested. Jello Brand pudding mix was gluten-free the last time I read the label. We’re so excited to be offering a group giveaway of a $300 Amazon gift card! Just enter using this Rafflecopter entry below! Giveaway runs 8/14/17 through 8/24 at 9:00pm PDT. Open to USA residents only, 18 and older. Winner will be notified by email within 48 hoursof contest close and will have 48 hours to respond before a new winner is picked. 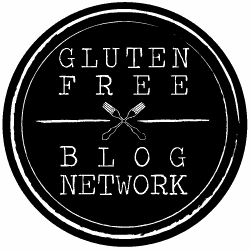 Giveaway is sponsored by the participating bloggers. Good luck! 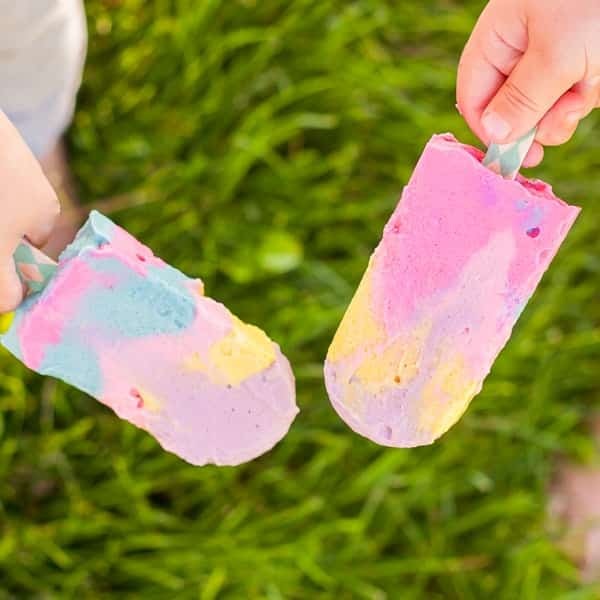 I love making popsicles all summer, and these popsicles are wonderful! They are different and so cute, and totally gobbleable did I invent a new word? I want to try this! Pudding pops were one of my favorites in childhood. These are the prettiest popsicles I have ever seen! Ice cream = summer!! 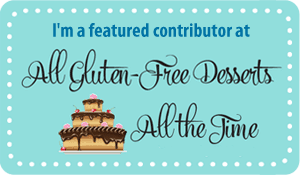 I need to plan a gluten-free ice cream social in my life. Looks like a yummy and fun good time! These are so cute!!! And your girls look just like you. Adorable! These look interesting! I’ll make sure to pass on!